It is 7 a.m. and I am lacing my Old Trusties, the Nike Air Lunar + 5’s using the straight across method. Now, I know I was going to start breaking in the New Shinies, the Nike Air Max Vomeros HOWEVER, I discovered all my discomfort caused by them was a simple as them being half a size too big. I am thus returning them or eBaying them with just 25Km on the clock and am purchasing a replacement. A guide to the shoes to buy always comes from gait analysis. I massively under pronate on my right foot, probably due to me relying on it when all my injuries happened on the left. This means I land on the outside of the right foot after the heel strike, but the foot does not roll in and onto the toes, so that the big toe pushes off. As I push off with the middle toes of my right foot, as that is as far as I roll, I am always suffering from pain in those toes. 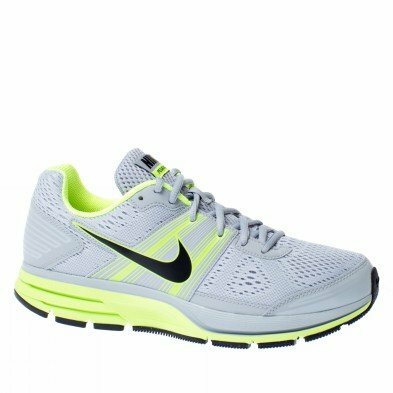 So soon I shall have a replacement pair for the Vomeros, and, after reading, I zeroed in on the Nike Air Pegasus. These are a neutrally balanced shoe that are recommended by Runner’s World for people with my problem. And the best thing about running shoes is that I do not need the newest most wonderful style, I am happy for last seasons shoe for the sake of saving £50. It is 7 a.m. as I said, and I am up for my 3rd day of running in a row according to my schedule. Although I just realised that I need to extend the schedule to the MoRun Movember Greenwich 10K in November. I am going to stick to the schedule regardless of if I think I can go further. So today should be 11K, following on from 2 days in a row of 6K. Tomorrow (Monday) is a rest day and Tuesday is supposed to be another 6K but I have plans, so maybe today I will push it a little bit. We shall see. As long as I run the minimum of 11K I am ok. Le’t see, shall we?